Have you or your loved ones been seriously injured in a car accident? Do not delay for even a minute. Get help now. Call me at 612- 236-1320! If you have been a victim of a car accident, or if one of your family members has met with an accident, then you are likely to face expenses such as car repairs, medical bills, and this gets worse if the car driver has fled. It is extremely difficult to trace a hit and run driver, and even if you manage to get hold of him, he could be underinsured or uninsured, and hence there may be no way of recovering the cost from him. Moreover if your injury is really bad, the insurance of the driver would definitely be inadequate to recompense you for medical expenses and lost wages. It is so easy to get cheap car insurance quotes online these days there is now reason not to have insurance however if you find yourself in these circumstances you do not need to worry. You can be compensated as your own auto insurance policy has UM/UIM coverage. Uninsured and underinsured drivers cause a lot of accidents. 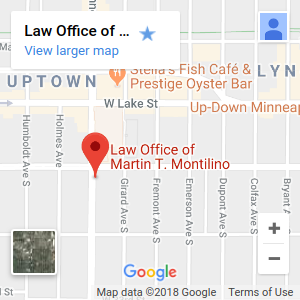 All you need to do is contact me and as your Minnesota Uninsured Motorist Lawyer I will help you claim compensation from your own insurance company. You do not need to feel hesitant about bringing the claim against your own insurance company. You have been paying them for the uninsured and underinsured coverage, and your insurance company is obligated to make good the loss you have suffered. While selling you the insurance cover, the company may have led you to believe that it takes one simple phone call and you will get full benefit of your policy. But this is just a sales gimmick. The truth is that the process for recovering benefits is time consuming and complicated. Such claims are often subject to delays, denied unfairly or underpaid. You need to hire a Minnesota Uninsured Motorist Lawyer to deal with your own insurance company and claim what is rightfully yours. Remember that the insurance company has well trained and experienced lawyers, and you need to hire an attorney so that you do not have to deal with all the frustration over and above the medical and other problems. All drivers must have car insurance as per the law. However, many of them do not. This is one reason why, in Minnesota drivers are required to carry additional UM/UIM insurance. Uninsured coverage provides compensation for the amount that you were entitled to get in case the other driver was insured. In cases of car accident, you, your spouse, passengers and resident relatives are covered as per the terms of uninsured coverage. In cases of severe injuries like catastrophic brain injury or spinal cord injuries, the damages are higher than the other driver’s insurance limits. However underinsured motorists cover ensures that you get additional coverage for your injuries and those of the other passengers in your car. Understand that uninsured motorist coverage is not some kind of favour that you are asking from your insurance company, nor are you taking advantage of them. You have paid a premium. It is your right. Call me and as your Minnesota Uninsured Motorist Lawyer I will help you get your compensation. You even don’t need to worry that your premium will go up if you make an uninsured motorist claim; Minnesota prohibits premium increases if the accident wasn’t your fault. CALL NOW!